Living in the South you don't need to go too far to find racing's roots. If you headed south from Charlotte back in the day (pre I-77) you might have started with a trip down 521 towards Lancaster. Even today with the high priced homes of Ballantyne behind you, once you cross the South Carolina state line, it doesn't take long before you notice you have traveled back in time. A few miles before Lancaster's city limits you'll see the old rusty sign for the Lancaster Motor Speedway. Lancaster Speedway is truly the "Grand Daddy" of local tracks. 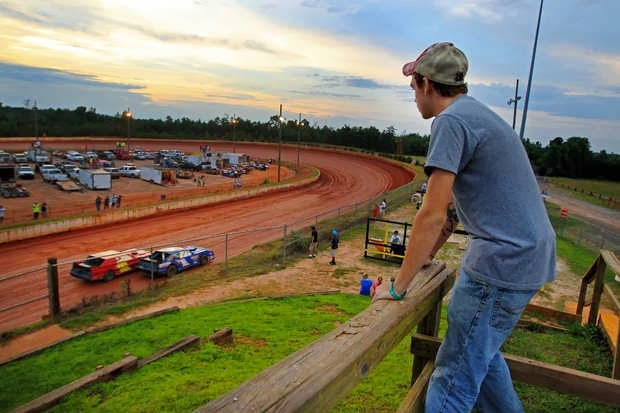 It's one of the oldest surviving dirt tracks in the South. It was built by a group of Lancaster business men headed by the late Herman "Hump" Poovey. The first race was held there in 1954 with a huge crowd on hand. The track hosted two NASCAR races in 1957, which were won by Paul Goldsmith and Speedy Thompson. As much as I enjoy the glitz and glamour of NASCAR there's just something special about Saturday night racing where driver and crew chief are often the same. Where watching a driver win a race and give a fist pumping jump for joy while being handed a check for only $300 dollars and a two foot high gold coated plastic trophy, kind of makes you smile. Every Saturday night all summer long the boys tear up the track at the Lancaster Motor Speedway. It's cheap entertainment. Seats are only $12.00, but most of the time after the races start you can just walk in. Fighting is strictly prohibited. Anyone caught fighting will be taken care of by the officials and Law Enforcement as needed. Any person other than Law Enforcement found with any weapon (CONCEALED OR OTHERWISE) on him/her or in his/her vehicle is subject to fine, loss of weapon and arrest. Drinking while racing is not allowed. The track reserves the right to require drivers to submit to a breathalyzer test at anytime. Drivers must remain in their cars during the race, except in the case of fire. 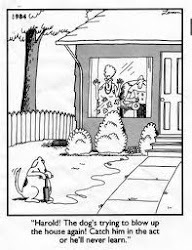 No disorderly conduct will be allowed at the payoff window. They've been racing at Lancaster ever since time began or at least 1954. Even on a Sunday afternoon in February with no one around you can still hear the sounds of racing. As the wind blows through the bare trees, grandstand and the chain link fence, you can almost hear an anouncer calling out the next race over the loudspeakers, the crowd and revving of engines with open pipes and unrestrained horse power. The Carolina red clay track shines in the mid winter sun. Shuttered concession stands await another season, the parking lot is empty and the only sounds now are the wind, and gravel that crunches under your feet. Dirt track is not NASCAR by any stretch of the imagination. But, the food is normally prety good and the beer always cold. It's not pricey, there are never any lines, no national sponsors, and theres a lot of available billboard ad space at turns two and three. Hand over $50.00 and most drivers will put your name on their car all season long. 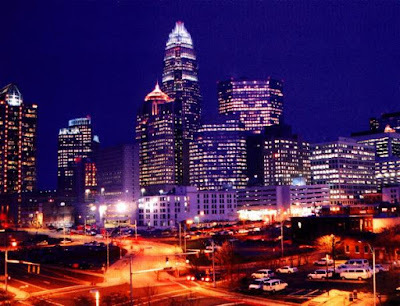 In the shadows of Charlotte some would laugh at calling this racing, but this is racing just the same. After all the motto drive fast turn left applies here too the track is just a whole lot shorter.